This year marks 5 full years that I have spent working with the Social Media Club (SMC). My journey started by establishing a chapter here in Bahrain. I was then selected as a Global SMC Chapter Management Director where I was responsible for establishing new chapters in the Middle East and North Africa (MENA) region. It soon developed to handling all countries around the world, alongside the rest of the Global SMC Board. Click here to apply to join us on the Global SMC Board by September 30th! I am very honored to be an active leader in the SMC and am very proud we were able to bring its legacy to MENA. It has been serving as our gate to hold many seminars, workshops, conferences, programs and provide professional certificates. I can’t describe how happy I am when I meet our youth who have attended one of of our many events and were able to apply the knowledge they received in their innovative niche to develop their awareness and seek a brighter future. It feels great to add value to their professional journey or light a spark in their way seeking a job or at least develop their current career status. Those who got inspired are likely to create their own entrepreneurial or lead an entiprise social media project. 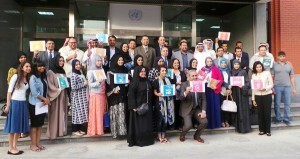 I am very proud to see that SMC MENA serve as the umbrella under which hundreds of promising youth are active members. Those members who are actively participating in any activity the club decides to hold, each per their own capabilities in the region. I am very honored to create bridges in partnership with many government bodies, private sector institutions and NGO’s. Such fruitful collaborations came up with several co-organized projects that helped everyone and served the country. The Global SMC board includes leaders of social media experts around the world, most of which are from the US, Europe, and the Middle East. We also have our footprint in South America, Australia and other regions around the world. Our recent founder article goes into more specifics of our past, in celebration of our 10 year SMC anniversary here. Global SMC has been continuously raising the bar and targeting educational development, this international organization seeks pumping more youth blood in their cadres on all levels. It’s because the people in charge believe in the power of youth and social media. They have a strong believe in social media as the frontline aspect that is shaped with innovation and rapid development. My experience with SMC has been one of the richest experiences I’ve had in my professional life. A study made by the Governance & Innovation Program at Dubai College of Governmental Administration shows that social media websites have a great ability to play a major role in enhancing talents, expanding job opportunities and support entrepreneurship in the world. Social Media made it easy to access to important data about the business market. It has developed to serve as vital channels to create a new online business market. This creates trust, promotes organizational teamwork and changes customer trends. Individuals with vision were soon to leverage partnerships, create job opportunities and empower communication among different organizations. Social Media is an essential tool for startups and enterprises alike, as it effectively helps them grow up their businesses through the large marketing options these channels provide. It also helps businesses by facilitating their way through both local and international markets. It also provides new promotion methods for services and goods. During those five years, SMC MENA has held endless activities, events, conferences, seminars, lectures, workshops, and programs. 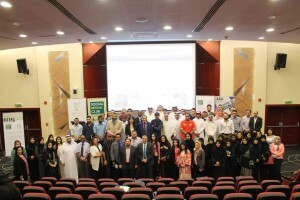 It has brought the local and international talents to Bahrain in order to speak before the Bahraini youth who are yearning for the updates and trends. Global SMC is spearheading an effort to enhanch its leadership backed with our passion for social media that motivates us to be more creative and share best practices. We are also seeking more lucrative partnerships with all organizations, expanding our membership and volunteer pool. We are leveraging this energy to positivity impact social media as we know it in Bahrain and share best practices with the entire world. I am inviting social media leaders around the world to join us on the Global SMC Board and be part of this great professional organization. Ali Sabkar spreader the culture and education of social media in Bahrain, on both public and private sectors. We have no one professional like him in Bahrain.